The ribbony 4,300-mile-long Amazon river, a glittery snake when seen aerially, spreads across the countries of Brazil, Peru and Colombia; but its sinuous tributaries reach numerous other places. Although many people journey to Manaus, Brazil to make their pilgrimage along these mysterious, jewel-toned waters, much of the Amazon — including its birthplace — lies in Peru. This delicate ecosystem harbors rare species from prehensile-tailed spider monkeys to almost cartoonish Toco toucans with their oversized, colorful bills. When I boarded the Aria at Iquitos, it was hard not to marvel at the luxurious sanctuary of the three-deck ship, with its dining room serving beautifully balanced meals (with a focus on locally sourced foods like “Camu Camu” juice), as well as the tiny Peruvian crafts store selling everything from dragonfly napkin rings to handmade Llama dolls with cute, beady eyes. The best part about this journey, which can take four or seven days depending on which option you choose, are the daily excursions along the river guided by one of four naturalists who are well-versed in just about every species you encounter. 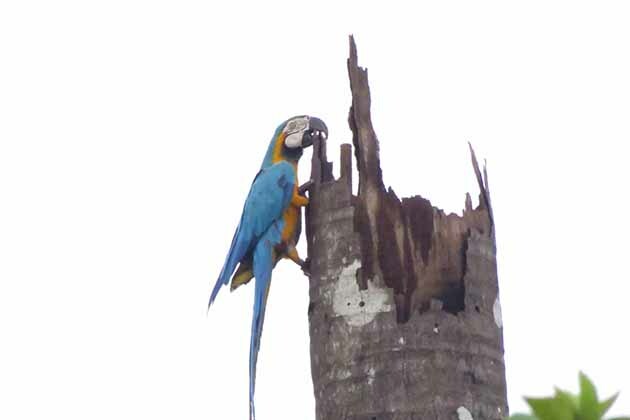 These “ribereños” or river dwellers know the sound of every bird and mammal call, and recognize species’ onomatopoeia as well as they do their mothers’ voices. These are breezy excursions in pontoon boats that speed-up, languish and dart into nooks and canopied crannies along the Amazon: the type of jaunts that make you feel like a G.I. or Jungle Jane while your eyes and ears get accustomed to the sheer beauty of the rainforest. You might spot a curvy pink dolphin leaping from the water, or even detect a glint of amber Panther eyes peeping from the foliage at night. Except that you’re not at lost at all: the guides bring you back with magical ease to the mother ship in time for dinner, libations or a demonstration of how to make Pisco Sours, as though they had done this all their lives. During the day, I happily spotted egrets and herons elegantly soaring over the gurgling waters and even two and three-toed sloths hugging the tips of trees, oblivious to the clicks of photographers and zoom of binoculars below. One the best moments was when I watched a thunderstorm from the topmost deck, sipping a cup of tea in one of the ceramic mugs specially made for the ship, watching the skies slowly darken to the color of deep ash. Then a streak of electric blue tore the landscape as thunder jostled the silence with the crash of a thousand percussion instruments. In the evenings, after downing a few Pisco Sours or so, I would blissfully tumble into the cozy bed, gazing at the passing leafy landscape from the floor-to-ceiling panoramic windows so thoughtfully placed in each room. 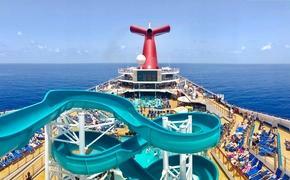 These spacious sanctuaries had just about every creature comfort imaginable, from shower gels to hair dryers. It sometimes felt a bit too lavish: these thoughtful amenities felt out of place in this swampy jungle, where locals slept in hammocks, walked barefoot and did not even have clean running water. On one excursion, our guide spotted a tiny “caiman,” which he fished out of the water and held it in the air for all to see before releasing it into the wild. Another time, I plunged into the half-warm, half-frigid waters of the Amazon river in my swimsuit, hoping feverishly that piranhas wouldn’t mistake my flailing legs for bait. It felt great! 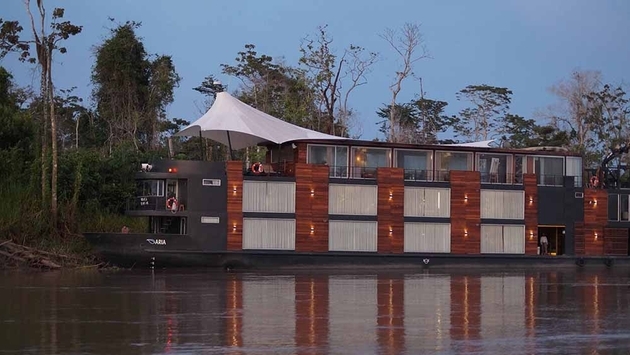 These journeys, despite the recent news of pirate attacks on the Amazon, come with legacy: Aqua Expeditions launched its first river cruise along the Amazon in 2007 as a buttoned-up way to explore the “mirrored forest” area of the Pacaya-Samiria Reserve. It is also a golden opportunity to see the “birthplace of the Amazon” near the town of Nauta, water lily-clad confluence of the Ucayali and Marañón rivers. At the end of the four-day adventure, my mind was a maze of wild memories: of the innocent-looking lily pad leaves that could hold massive amounts of weight, of capybaras poking their way through the undergrowth, and of electric eels that could sting a prey on a tree by discharging 600 volts of power! And even though my legs were covered in mosquito bites, I felt as though I had been to the edge of the world and back, with a raw feeling of being truly displaced. 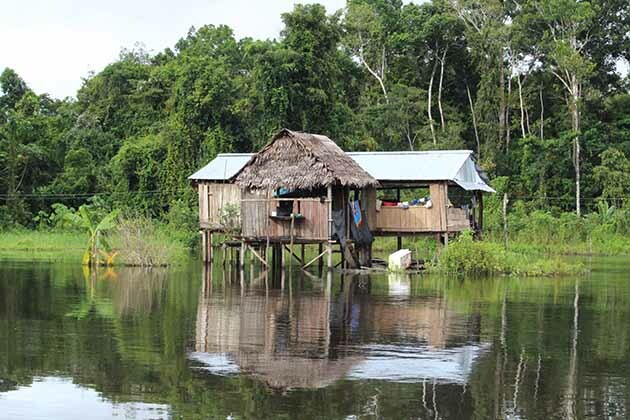 For more information on Aqua Expeditions’ journeys along the Amazon, visit this site.